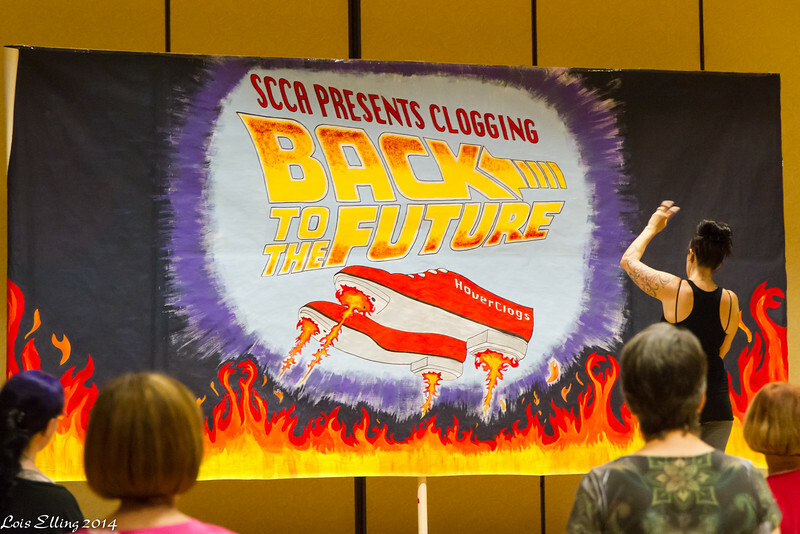 The 2014 Southern California Clogging Association Convention in Irvine. Several Northern California cloggers attended and some also performed. Banner at SCCA Convention; Cricket cueing.